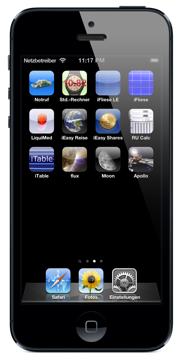 We provide simple to use apps for iPhone, iPod touch and iPad. To go to the apropriate site for an app simply klick or tab on the icon below. For any support question, enhancment request please feel free to send me a mail (link on bottom of this page). iPhone only apps. Hey! It´s a phone app!